If you’ve visited Paris lately and like street art, you’ve probably fallen in love with new pieces quickly spreading around the city: red hearts “growing” like flowers around romantic messages in French or English. These cheerful messages are created by InLove Street Art—and we just love them! 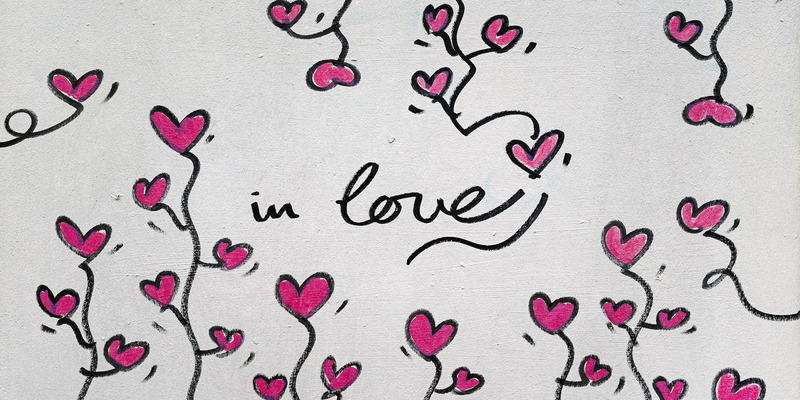 You can find InLove Street Art in almost any arrondissement in Paris, especially in areas known for street art, such as Le Marais and Montmartre. They are fun to find. One will surprise you on a door or a wall and then, like “le petit Poucet,” you’ll follow one piece to another. Your trail of hearts is, of course, almost as ephemeral as le petite Poucet’s breadcrumbs eaten by birds—it disappears with time and weather and wear. Some say that InLove is very Parisian and at GoStreetPhoto, we agree. The pieces are romantic, simple, and sophisticated. We especially love how creatively the artist adapts the hearts to each unique “canvas,” allowing the hearts to grow out of windowsills, vents, doorknobs, etc. Have you found InLove in Paris? Share your photos and your thoughts about the work!